Your life is on the clock. It's About Time is exactly what it sounds like. It's a game where everything revolves around a clock that is ticking down as you go. 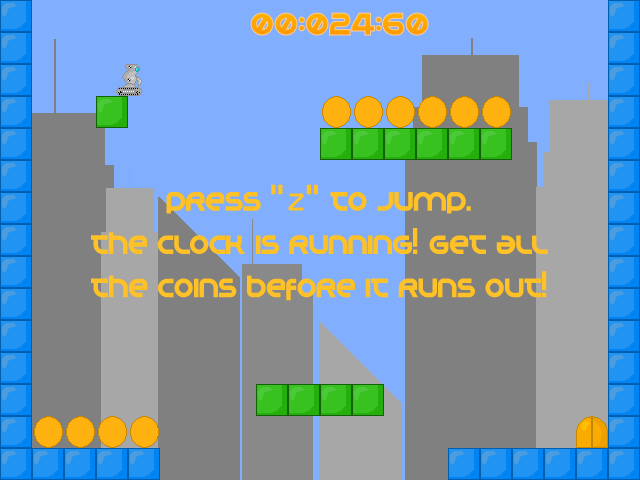 In each level you must collect all the coins in a level in order to stop the clock. 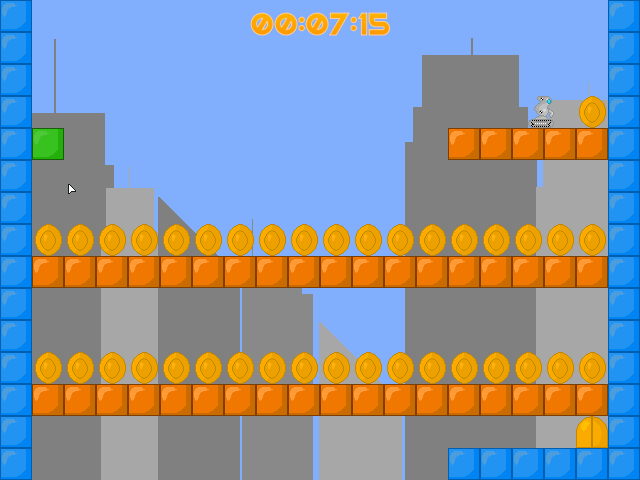 Once you collect the coins in a level, you can take your time. This is yet another Flash platformer. It included 40 levels. 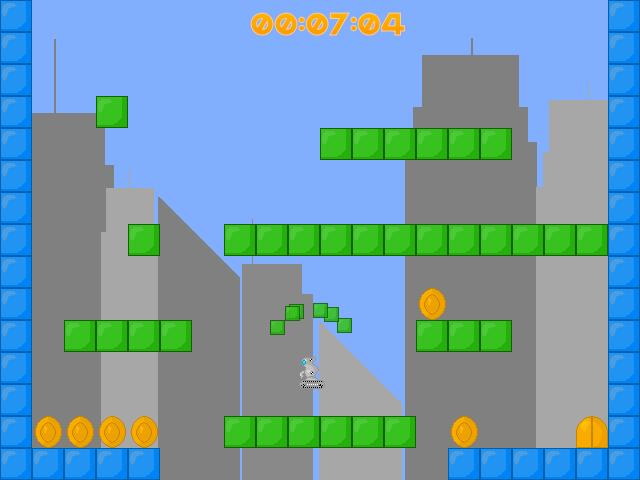 It uses a variety of blocks to make 40 unique levels. Some blocks explode upon contact, some go up when you hit them, and some are just plain old blocks. “It's a time-waster, but a pleasant one. Reset after death/timeout is pretty quick and seamless, so retrying a level a bunch of times isn't aggravating. “There's nothing new about it, but that doesn't mean it can't be fun.